Students at Propel Andrew Street High School introduced Haudenosaunee food and stories into their families’ Thanksgiving celebrations. 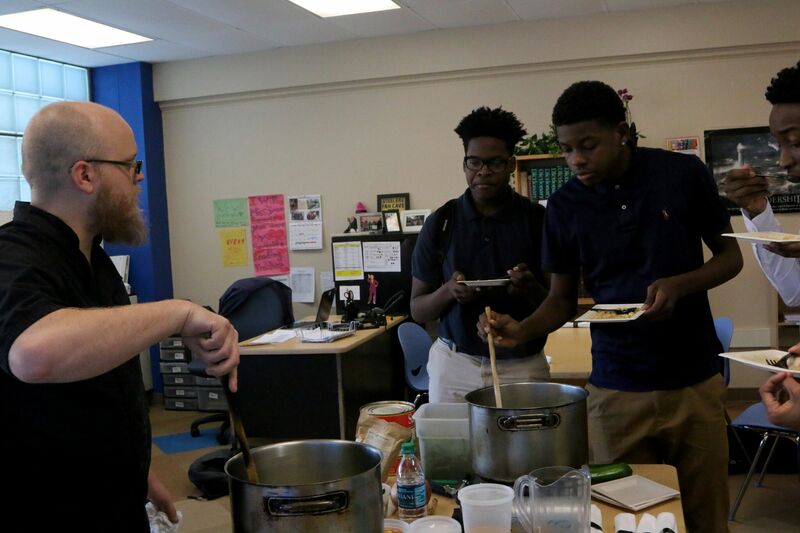 In a series of seven interactive lessons with Conflict Kitchen, students compared Haudenosaunee and American identity, cuisine and traditions of giving thanks. On Thanksgiving, they presented these reflections to their families, along with bowls of ogösase:’, a succotash of corn, beans and squash. 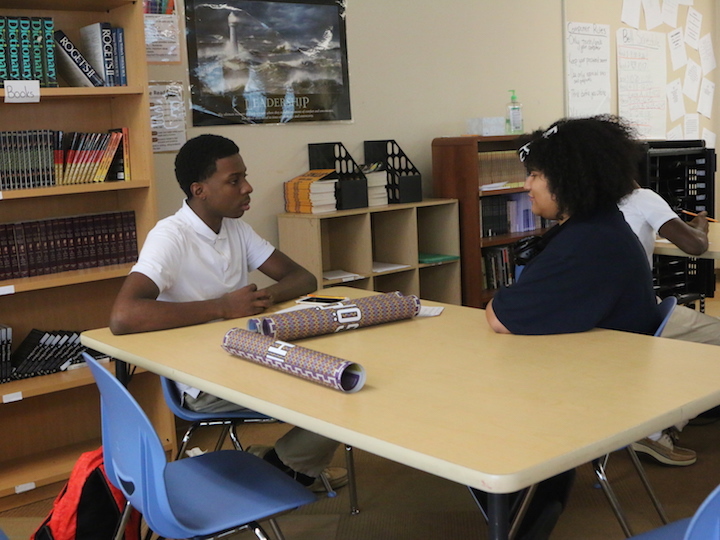 Students in Mr. Applegate’s Service Learning class honed their critical reflection, interview and cooking skills. With Education Director Blaine Siegel, students explored the origin of American Thanksgiving and the Haudenosaunee Confederacy’s historical and contemporary conflicts with the United States government. Following an interview workshop with Education Assistant Clara Gamalski, students interviewed their family members about their families’ histories and Thanksgiving traditions. Culinary Director Robert Sayre taught a cooking lesson featuring variations of ogösase:’, a traditional version of succotash that highlights Iroquois White Corn and a contemporary recipe that features introduced ingredients. As they cooked with Robert, students discussed issues of Indigenous food sovereignty, cultural appropriation and the on-going evolution of Haudenosaunee cuisine. Conflict Kitchen provided students with recipes and ingredients for cooking ogösase:’ with a family member at home. At their families’ Thanksgiving dinners, students shared the succotash that they prepared, as well as their knowledge about the Haudenosaunee Confederacy’s food, culture and conflict with the United States government. Thanks to Conflict Kitchen, I was able to learn and appreciate many things about the Haudenosaunee Confederacy and other Native American groups. I was given the opportunity to make succotash for my family, which sparked a conversation about what I had been learning about Native American traditions. 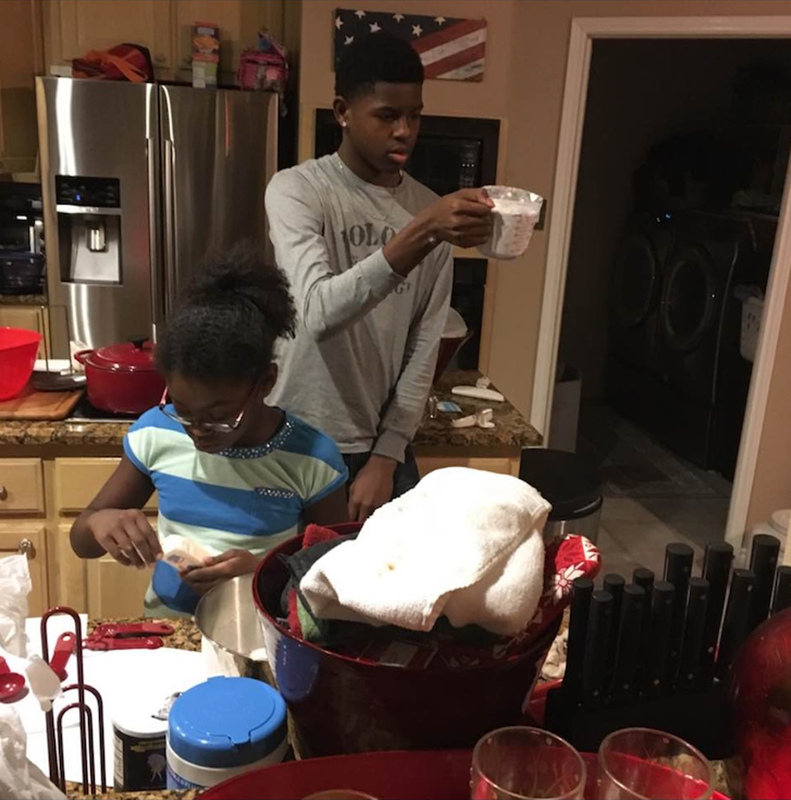 Even though the dish that I was making was new to me, it began to bring memories to my mother. This helped me appreciate the things I do have and to honor the strength and independence that Native people had and still have. People spend their whole lives understanding only their culture and traditions, but it is better to reach out and broaden your knowledge about others to understand their perspectives on life. I got out these two little bowls for us to try some and it was perfect. We both got a second bowl of it and then realized that we should wait for the rest of the food. 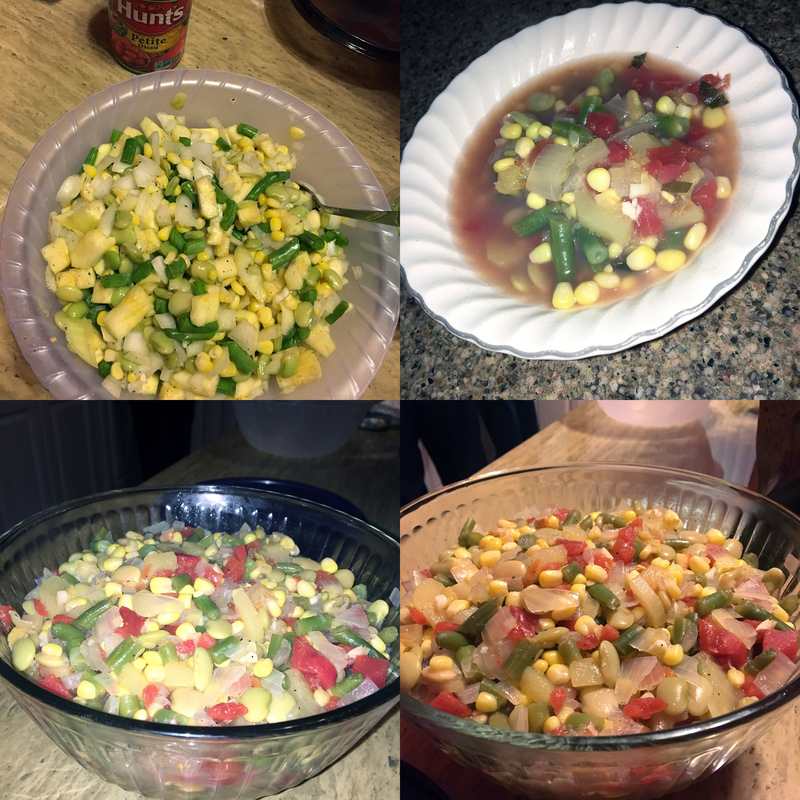 I really enjoyed my time making succotash with my family. They really enjoyed it too. It was not what they were used to making. My sister thought she was not going to like it, but she ended up liking it. I was surprised because she is super picky. My step mom and dad loved it. My step mom couldn‘t stop eating it and she said I did very good job making it. My dad eats everything, so I knew he was going to like the food. We did not end up making the succotash for Thanksgiving. We made it to eat it for dinner one night. We also made okra and fried oysters togo with it. Making succotash really helped me bond with my family. Succotash is a dish of the Haudenosaunee. I wanted to eat the food that they usually make to help me connect with and learn more about them.